Sometimes we need to modify single pixels in our image files. 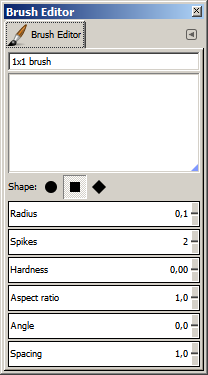 Strangely, GIMP does not provide a 1×1 brush out of the box. Below are the settings you must use to create your own 1×1 brush.